Compared to sea freight, air freight is superior in many ways. Safety, more frequent schedules, shorter lead time and most important of all, high efficiency (shorter delivery time), which is the primary reason to have cargo delivered by air, especially for high value goods. To move your air shipments from China, to handle your shipments with care, to consistently meet your freight deadlines, you need air freight forwarder like us. We utilize the major airlines to offer our clients a variety of air freight service options, always find balance between cost and speed. We work closely with our clients, providing assistance with routing options, customs, document preparation, etc. We work closely with airlines, to ensure the earliest departure schedule and most accurate time of arrival. With good wealth of experience, shipping with us is sure to bring you a pleasant experience. 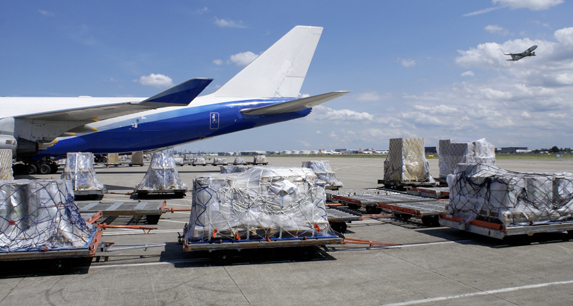 How is air freight calculated? Part 2: The cost per kilogram multiplied by the chargeable weight. How long does it take for air freight? Generally, air shipping can reach any airport in the world in 5-7 days after departure, or even less. Will take longer in peak seaon. What is the cost of shipping from China by air? Fill in the form and submit, we’ll get back to you with a solution and shipping cost. To satisfy the needs of urgent and expedient delivery of parcels, documents, and other items, we a variety of international courier services, which is a simple shipping method, trouble-free, door to door. 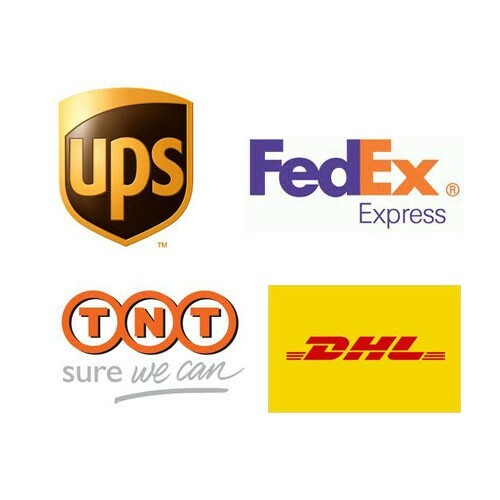 DHL, FedEx, UPS, TNT are the main couriers well known to all, your shipment will be delivered with reliability and convenience. However, make clear the route, speed and cost before shipping. Everybody wants fast and cheap way. We will help make the best decision for you.